A small rural barn that can be found most anywhere. 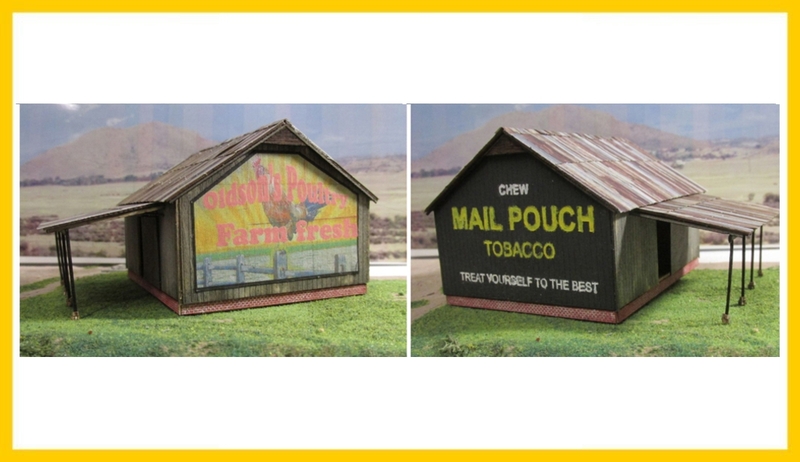 Kit includes the lean-to, foundation, signs for the poultry end, and a stencil for the Mail Pouch sign. All other material to built it but Glue a paint.